The Grand Rapids Creative Youth Center prepares kids for life’s adventures by supporting their writing and amplifying their voices. We believe that nurturing kids’ writing can give them access to the world and by fostering their creativity may allow them to change the world. At the CYC, kids become published authors, leading to a strong sense of identity and an enthusiasm for learning. Their programs are free for all students attending Grand Rapids Public Schools or living in Grand Rapids. 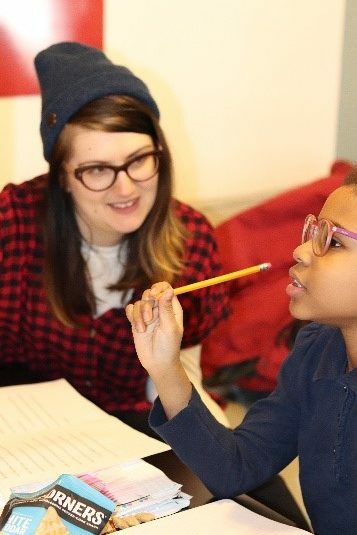 The CYC runs a couple after school-writing programs right in our schools.